Do you know that for the best tasting espresso, it’s important to use freshly roasted beans and grind them just before brewing? The quality of the grind is just as important as freshness and so a quality coffee grinder comes up as an important aspect. May be if with an inexpensive blade grinder, you might have already experienced the problem of flavor loss and non-uniform grind. In that grind, half of the coffee is churned to powder but you can still find a lot of big chunks and maybe even whole beans! Blade grinders also cause friction that tend to heat coffee during grinding causing the flavor to deteriorate. 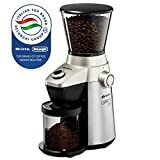 If coffee is an important part of your daily life, then you must know about the significance of a good coffee grinder in achieving unwavering quality and consistency in taste. If not, then what have you been drinking all these years? 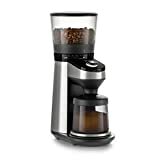 As surprising as it may sound, a good coffee grinder plays a pivotal role in making a delicious cup of coffee. Here are some of the main reasons why it is in your best interest to buy a coffee grinder. After all, no one should compromise on taste. When it comes to buying a coffee grinder, you must know that there are different options to consider. Therefore, it is important for you to make a decision whether you want to buy a blade or burr grinder. Blade Grinder – In this coffee grinder, coffee beans are sliced into multiple parts with blades (obviously). With this grinder, it is best to keep a check on the time. It is because if the grinder is running for too long, the grind size will become finer. Even though it is quite cheap, it is recommended to buy a blade grinder that comes with a timer. It is best for beginner brewers, but if you are a coffee drinker who does not compromise on taste, this is not the best grinder for you. It is because it produces an uneven and unpredictable grind. Burr Grinder – There are two burrs or two revolving abrasive surfaces used in a burr grinder to grind the beans. As compared to a blade grinder, it crushes coffee beans to produce a more uniformly consistent grind. It gives a more unswerving grind because the force of impact works on all points rather than just one. It is a bit pricey as compared to a blade grinder and heavier as well. However, it provides a better control and grind which also overcomes by the fact that it takes more time to grind the beans. Just like many coffee enthusiasts out there, it is safe to assume that you’ll go with a burr grinder. However, it doesn’t end here because you have to choose from one of the burr types as well. Flat Burrs – In flat burr, there are two same pieces (teeth/discs) that sit flush alongside each other and coffee beans are propelled towards the two pieces with the use of centrifugal force. The grind profile can be adjusted by moving the discs further apart for a coarser ground or by moving them closer for a finer ground. Flat burrs are cheaper than conical burrs and it becomes almost necessary to replace them after their use for a period of time. They are deemed as best for making great espresso due to their design. Flat burrs provide higher extraction and better espresso variability. Conical Burr –A conical burr is made up of a circle with sharp ridges. In other words, there is a spinning piece that has a rounded top and is shaped like a cone. If you ask experts, they will tell you that conical burrs are the better as compared to the flat burrs because you can easily adjust them by degrees. A flat burr provides a cutting face which is parallel, but a conical burr provides around 60-degree cutting face. It is highly recommended because it provides a better level of control and creates low noise and heat. All in all, if you are looking for a heavy body and rich flavor, it is best to go with a conical burr. When it comes to looking for the best coffee grinder, one must consider the material of the grinding burr. As the name implies, these are made of steel along with the addition of chromium to resist corrosion and molybdenum to resist acidic corrosion. Although it is a recommended choice for applications involving drinks and foods, it is not the best material for every situation. It is because stainless steel burrs can absorb and retain heat. This means that the steel burr can heat up and transfer the heat to the beans if you grind a large amount of coffee. It can affect the taste of the coffee. These are made from nonmetallic, inorganic material and have high strength but a brittle body. It is recommended to use ceramic burr if you do not want a burnt coffee taste. It is because they do not retain or conduct heat even if you grind a large amount of coffee. They are a bit costly as compared to steel burrs and can break easily. A better burr grinder comes with more grind settings. Therefore, it is best to buy a burr grinder with more settings as it enables you to accurately grind according to your choice. Although commercial grinders come with more than 40 grind settings, make sure you buy a grinder that comes with at least 20 grind settings. When it comes to choosing the right hopper size, you have to ask yourself a question: Do you prefer freshness or convenience. If the hopper can accommodate large amounts of coffee beans, it can be far more convenient for you but it also means that the coffee beans will be sitting in the hopper for a bit longer than usual. If the hopper accommodates small amounts of coffee beans, it is less convenient for you but one thing can be said with certainty that there will be no compromise on freshness. It is definitely not recommended to use blade grinders for espresso. Instead, choose burr grinder with conical burr as it provides a fine grind. For a French Press, a burr grinder is a far better choice than a blade grinder. However, you can successfully use a blade grinder for drip coffee. Blade grinders can be cleaned rather easily as compared to burr grinders. However, the hopper of burr grinder can be removed easily for proper cleaning as well. Blade grinders are quite inexpensive and you can get one for less than $20. However, these grinders are cheaply made and can provide inconsistent coffee grind. So, keep in mind that you won’t get much quality with these grinders. Burr grinders, on the other hand, are expensive as compared to blade grinders. They are made of durable burrs that stay sharp for years. Overall, burr grinders provide quality regardless of higher rates. Here are 5 of our favorite grinders for the home espresso. Hopefully you will find the one that is just right for you. Virtuoso from Baratza is a bit more upscale, featuring an elegant sculpted design and a powerful motor. There are 3 grinders from Baratza which are popular in the market: Encore, Virtuoso and Preciso. The Virtuoso ranges between Encore and Preciso and is also the most popular. It is also a recommended product by Amazon. One of the key features of the Virtuoso is its motor: the DC motor turns slowly in order to grind quietly and prevent the beans from being overheated. This grinder is a good choice for every brewing method from Espresso to French press, and produces an exceptionally even grind at all settings. To adjust the grind settings, there is no lever instead you have to rotate the hopper. The pulse button on the front of the machine makes it easy to grind directly into your portafilter, a bonus if you make a lot of espresso at home. The grind bin is plastic but is designed to eliminate static: don’t put it in the dishwasher or you will lose the anti-static properties. Considering the price of this grinder, the small size of the hopper is slightly disappointing, but the quality of the motor and the grind helps to make up for it. Overall, it’s a good product from the brand and is worth the price tag. With over 3500+ customer reviews, this grinder can be called a masterpiece. It’s elegant sleek look is great and doesn’t occupies much space on your counter. This machine offers an exceptionally wide range of grinds (overall 16) for its price point, and overall is a good choice when you’re looking for value for money. If you want to be able to grind a large quantity of coffee in one go, the Capresso Infinity is a good choice. This grinder is a workhorse, producing everything from an ultra-fine Turkish grind up to a coarse French press grind. The Infinity seems to work better at the fine end of its range than at the coarsest settings, making it a good choice for espresso. The hopper will only hold about half a pound of beans, so most people will need another place to store their beans. To change the grind settings, you just turn a collar around the bottom of the hopper to the desired grind. The timer is a simple dial that you turn manually. There’s no “smart” technology, which means you won’t have to worry about it breaking. Overall, this grinder delivers what counts – a great quality of grind – without a lot of bells and whistles. For guys looking for electric grinder that is pretty simple to use, Secura has made masterpiece. This grinder is extremely economic as compared to its built and has a very simple interface that is easy to understand and use. Secura packs in itself a great package that gives grind settings from extra fine to coarse covering almost all sort of brewing methods. If you are a beginner and are just starting grinding at home, this one is a good buy. But, if you have used a burr grinder before, like Baratza or Breville, this is not for you. Encore as the name depicts, is the core product by the brand, Baratza. When anyone is serious about grinding at home, the first suggestion is Baratza Encore. It’s an advanced entry level grinder that is not much expensive and gives most of the desired features. So overall, the Encore is a great grinder for newbies brewing coffee via drip, pour over or French press. Though it’s good for espresso shots too, but still there are better options for that. Baratza has a name that comes first when searching for grinders and has maintained that reputation from long ago. The units are trusted and well built. For people who love to stay simple with perfection, the Airete can prove to be a good companion. It’s relatively quick and makes less mess as compared to other units in the same category. We especially loved its designing aspect as all the controls are neatly and conveniently placed. Overall, Delonghi Airete is a great grinder for espresso or drip but not ideal for French Press brewing. The reason behind this is – when we move from medium coarse to the highest coarse setting, there is not much difference resulting in imperfect grind for a French press. For other brewing methods, it’s a good opt, but could have been a little cheaper. For serious coffee drinkers at home, this machine is a perfect powerhouse. We cannot compare it to professional grinders, but for home purpose, it’s an ideal pick. Oxo has long been selling this grinder without many variations as this brand tries to make perfect things with features that are actually needed. If you have ever used an Oxo product or may be there awesome brewer, you can easily imagine as how the products are by this brand. It has all the features one needs at home. The grinds are consistent and the body is durable giving you a long term security. 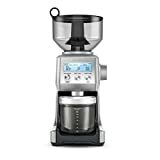 Breville is a pioneer when it comes to coffee and has many gears that pertain to coffee making. This grinder has 60 different settings from extra fine espresso to the extra coarse for French Press brewing. The price is below $100, so would cost somewhere same around the Oxo. It’s a great pick, but if you can understand what those 60 different settings mean, it’s a great pick. Or else, you’ll be left with a whole lot of confusion. 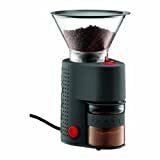 This can be called as a grinder for intermediate users who know already know about espresso making stuff. It has some precise settings that allow good control over the output. Even the precise 0.2 seconds increments in the timer help in doing even controlled grinding. Moreover, it looks appealing and modern on any cabinet or table. With its winning combination of style, features and affordability, the Bodum Bistro is one of the most popular home grinders on the market. It’s not pricey and won’t take up much space in your kitchen. This grinder comes from a family that has an history of making best French Press Coffee Makers. This grinder produces a good even grind without a lot of fines. The glass coffee catcher prevents the buildup of static electricity, which can make your grinds messy and hard to work with. The hopper is a generous size and airtight enough to store your beans all the time. Some customers have noted that the glass coffee catcher is a little bit fragile. If you do break it and need to replace it, you can order a replacement from the website. For all other defects, this grinder is under a two year warranty. This grinder is a good choice for espresso brewing, but a little harder to work with if you’re brewing 12 cups of auto drip on a regular basis. Overall though, the Bodum Bistro is a solid choice and is available in a wide enough range of colors to suit most kitchens. It has the casual, funky design that has made Bodum products so popular over the years. The top selling grinder on Amazon, just a few units more from Capresso Infinity. This is the least expensive model on our list, and it’s got some pretty impressive features to offer considering the low price. If pricing is a bar, this grinder gives great results and will not cost you even 50 bucks. The Cuisinart Supreme Grind, unlike the other models reviewed here, uses disc burrs instead of conical burrs. These are a definite step up from blade grinders, but do not function quite as well as conical burrs. For example, you will find more fines mixed in with your grind. You might also find that the coffee gets a bit warm while you are grinding it. This grinder is a good choice for French press and auto drip coffee. Although it has an espresso setting, the grind is probably not even enough to keep a serious amateur barista happy. However, if you’re on a limited budget and want to upgrade from a blade grinder, the Cuisinart is a great option. 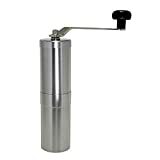 This Hario Skerton hand grinder operates using an adjustable conical burr mechanism, rather than the usual steel blade found in most hand grinders. That mechanism allows it to deliver even grounds, much like an automated burr grinder, though it takes a little longer, about 2 to 3 minutes. Hario is one of the known brand for manual brewing and grinding with it’s V60 brewer and Skerton grinder. If you have both, it’s a magical combination for brewing an amazing cup of coffee. Moreover, they are feasibly priced to satisfy all user needs. Porlex is one among the finest brands when we talk about manual coffee grinders. The body is narrow and long somewhat similar to a pepper mill. The built quality is strong and you can judge that by even holding it for while. The grind settings can be adjusted from powder to coarse for a French Press and the output we get is consistent. Manual grinders are mostly made for camping or French Press coffee making. In short, this grinder grinds the best coffee for a French Press. It gives a consistent grind always. For grind adjustment, You can find a white wing-type nut beneath the body. Just remove the cylindrical canister and we can find a white nut attached. Screw it for a finer grind and unscrew it for a coarser. When you will do it, you will feel clicks, count those and remember the number of clicks for your favorite grind setting. To avoid confusion, start with the nut completely screwed in then back it off. Say, for Espresso, 2 step back after screwing fully will give the best grind. This is one of the highest selling grinder in the manual category as it offers great grind control in a very feasible amount. Javapresse has 18 click settings providing grind settings for a French Press, pour over, drip, cold brew and much more. As it requires no power or batteries, one can take it anywhere. Sold over 4000 units on Amazon maintaining an average review of 4.5, you can yourself imagine about how the product should be. For below $25, it’s a steal compared to other products in the same category. The working is also simple and the crank is removable. When it comes to grinding for an espresso shot, we need an equipment that can give a very fine consistent grind to let the water pass through the tightly packed cake of ground coffee. If the particles are not fine, the water will pass too fast resulting in less flavors and weak shot. Moreover, if the grind is too fine, the resulting shot might get bitter. So for an espresso, we suggest to go with electronic grinders namely – Oxo, Breville, Bodum Bistro and Capresso. For a French Press, we need a coarser grind size, but again, consistent. With electronic grinders, the grind becomes fine even with the coarse settings. So, we suggest primarily to use manual grinders for this purpose as we have full control over what’s happening. The best picks are Hario, Porlex and Javapresse. If you prefer to go with automatic grinders, we suggest Secura SCG and Capresso 560. For the Pour Over method, the suggested grind size is medium fine that can be achieved with both Manual and automatic. 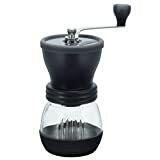 The suggested manual grinders for this type of grind are Hario, and Porlex whereas if you prefer automatic units, go with Baratza Encore, Capresso or Ariete. For a cold brew, the grinder is not the major factor but rather it’s the steep time. The longer you are going to steep the grounds, the coarser the grounds should be. On the other hand, if you are doing a short steeping, you can adjust to fine settings. So, for a cold brew, we suggest to use an automatic grinder as we have many variable settings in those. Suggested units are Ariete, Baratza Encore, Baratza Virtuoso and Oxo. Have a visit on our Coffee Grind Guide to know in detail about grinding correctly for various brewing methods. 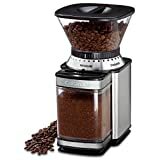 When it comes to investing in a coffee grinder, there are several other factors to consider as well such as the size, hopper size, dosing options, number of grind settings, voltage, price etc. Instead of making a mistake of buying an average quality grinder, it is best to invest in a more robust and somewhat expensive grinder. After all, your main concern is quality, right? 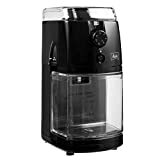 If not, then there are coffee grinders that come in an economical price range. Whichever you pick as the best coffee grinder, grinding your own coffee means that you can look forward to the best-tasting, freshest espresso you’ve ever brewed!